Despite its reputation as a sober, industrious nation, Japan has a well-established if surprising tradition of celebrations enshrined in law. Each of these non-working days reveals something of Japanese psyche, culture and history, so in this issue we continue our series on National Holidays by looking at observances in January, February and March. This national New Year’s celebration was established in 1948 and reflects Japan’s adoption of the Gregorian calendar on 1st January 1873. Before that the year started at the beginning of spring in accordance with the traditional luni-solar calendar, as is still the case in modern China, Korea and Vietnam. 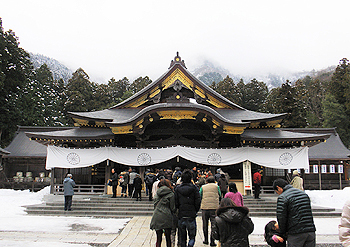 But nowadays Japanese festivities are launched on 1st January and continue for up to seven days, with millions of visits being made to popular shrines and temples between the 1st and the 3rd of January. 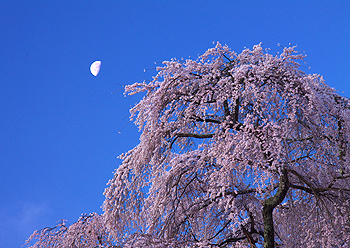 New Year is ‘the’ major event of the year for Japanese people, rather as Christmas is in the UK. Families gather together and we all eat far too much. But at least in Japan we are relieved of the stress of Christmas shopping since we do not exchange presents. Instead, adults have to give money to children. As a child growing up in Japan I always looked forward to the New Year and the more relatives I saw during the first few days of the year the better; alas now it is a different story… However there is still much to enjoy for all ages and, although not prescribed by law, many workplaces close from December 29th to January 3rd. In 2013, the 4th of January falls on a Friday so if you can manage to take that day off work you are rewarded with nine consecutive days of holiday time. This year many people took advantage of this quirk of the calendar, along with the bonus of the strong yen, to go on a trip abroad. 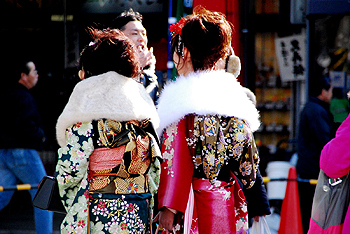 Another holiday established in 1948, the history of Coming of Age ceremonies in Japan goes back centuries. The age of majority in modern Japan is 20, the legal milestone for voting, smoking and drinking alcohol. Until 1999 the holiday was always on 15th January but since 2000 it has been held on the second Monday of January as a result of the ‘Happy Monday’ system (see Sports Day in Issue 01). Local government offices hold Coming of Age ceremonies for their 20-year-olds, many of whom dress up in traditional kimono and have themselves made-up and professionally photographed for the occasion. But why is this celebration worthy of the accolade ‘National Holiday’? It is all about context. In 1948, only three years after the end of the Second World War, there were severe shortages of food and all other commodities in Japan, but the authorities felt that the crucial deficiency in Japanese society was ‘human resources’. Evidently officials believed that in order to build a successful country, the Japanese needed encouragement to become responsible adults. So it was with this purpose, allied to the significance of its existing tradition of celebration, that Coming of Age Day was enshrined in law. Sadly in recent years disrespectful behavior by 20-year-olds at the ceremonies – such as chatting loudly, using mobile phones during speeches and even fights at venues – have earned a lot of bad press. As a result there is some public resentment at spending tax payers’ money on Coming of Age festivities. This National Holiday was set up in 1966, and was first held in 1967. Its establishment was the source of much public debate and controversy, since February 11th was originally known as Kigen-setsu, a holiday dating from 1873 which commemorated the day on which, according to Nihon Shoki (‘The Chronicles of Japan’, completed in 720), the first emperor of Japan, Emperor Jimmu, acceded to the throne in 660BC. Kigen-setsu was abolished after WWII, but in 1947 February 11th was included as one of the national holidays in the Public Holiday Bill proposed by the Cabinet. However the Supreme Commander for the Allied Powers rejected the idea, so the Public Holiday Law was enforced in 1948 without National Foundation Day. Over time pressure grew to acknowledge the foundation of Japan and eventually in 1966, despite some opposition, February 11th was recognized once more. One of the arguments against this holiday was that the historical accuracy of Nihon Shoki’s contents was questionable and Emperor Jimmu was considered to be a mythical figure rather than an actual ruler. As far as I can remember this has always been quite a low-key holiday, which may reflect its sensitivity. A national holiday since 1948, Vernal Equinox Day occurs on the day when the lengths of day and night are equal. This is usually either on the 20th or the 21st of March but the date of the holiday is not officially declared until February of the previous year because of the need for up-to-date astronomical measurements. The history of hailing the arrival of spring goes back centuries, for the vernal equinox celebrates and expresses thanks to nature for bringing new life into being. Traditionally people visit their ancestors’ graves around this date to pay their respects and reaffirm their gratitude.